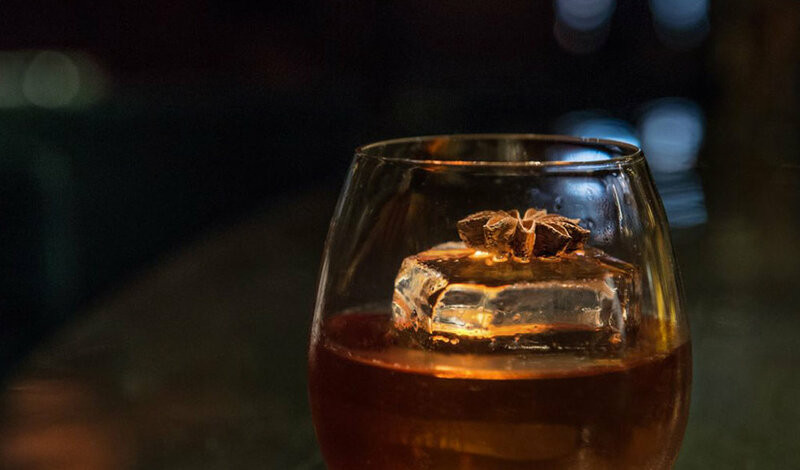 This summer the established drinks agency, Sweet&Chilli, is set to launch a neighborhood bar in East London, and you’re invited. 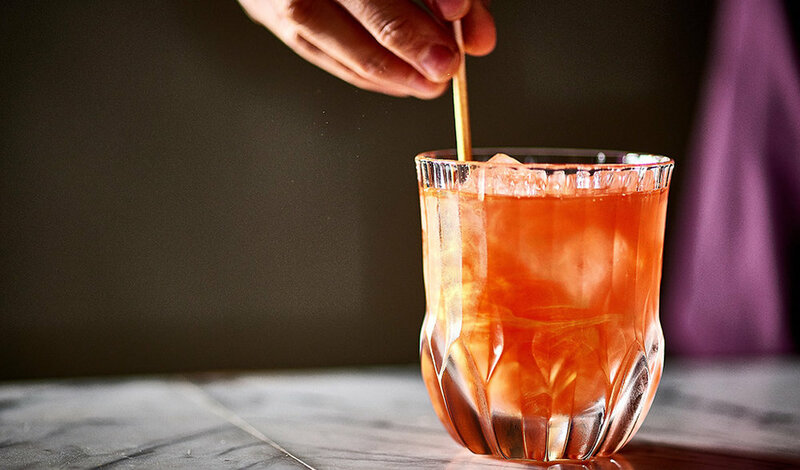 The bar, called Nine Lives, will feature original cocktails, an inviting atmosphere—and like most of the bar operations Sweet&Chilli represents—great music. Since 2002, founders Allan Gage, Emma Hutchinson and Tom Soden, have extended their creative event planning across the Drinks industry. 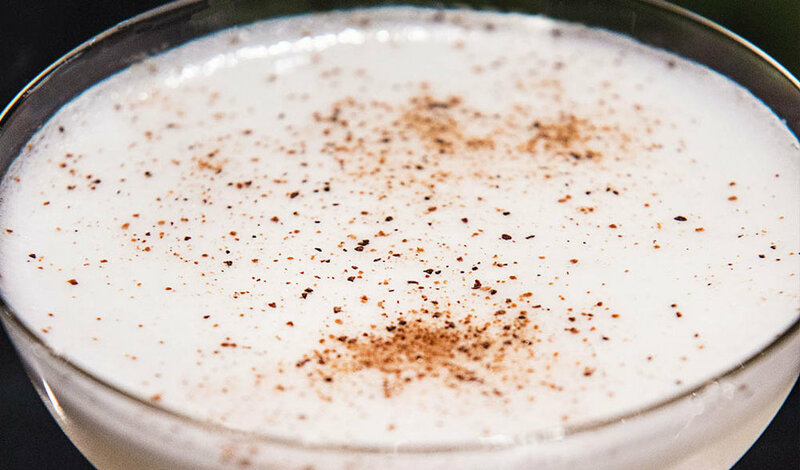 Their award-winning team of Drink experts team together from their global offices in London and Sydney, to develop specialized campaigns and to consult brands on product development. 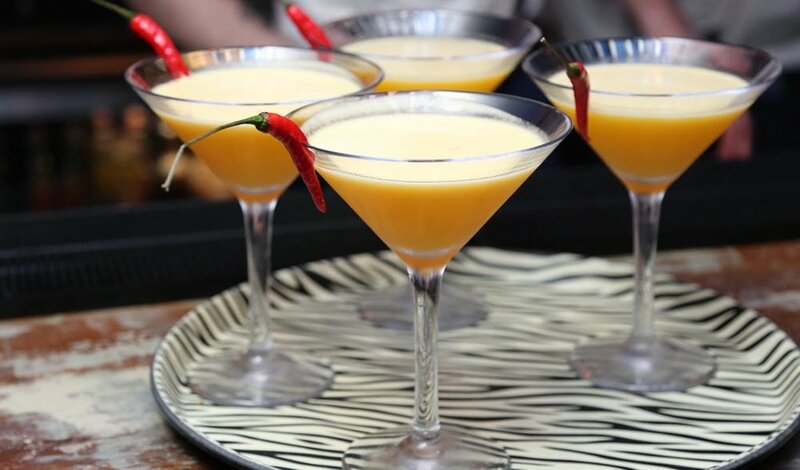 Sweet&Chilli was founded on the belief that every drink should be enjoyed as it was intended. Years later, this philosophy continues to impact and expand their marketing initiatives worldwide. When it came to naming Nine Lives, Sweet&Chilli decided to imbue their project goals with the company philosophy. 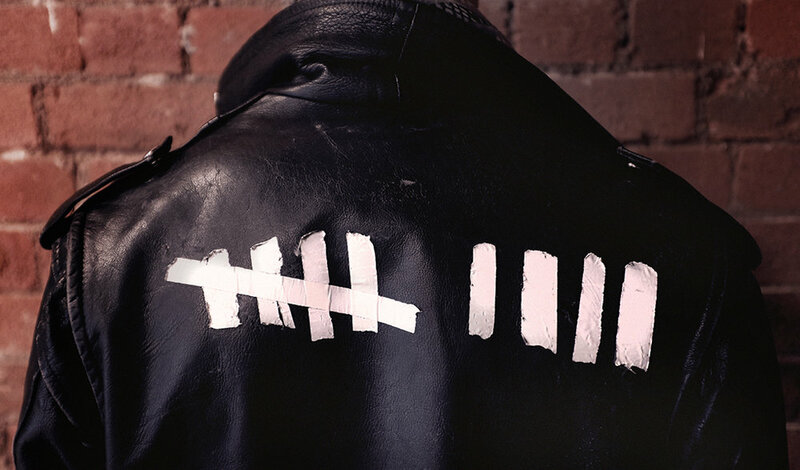 And so, Nine Lives is re-defining cocktail culture with its sustainable, no-waste movement. Music plays from a re-purposed beautiful rig, old recipes are reinvented and ingredients are reused to reduce waste (and fertilize their backyard herb garden). The name speaks to an “ethos of salvation” that is also reflected in the bar’s design and relaxed overall vibe. The décor is old-fashioned and eclectic: woven lampshades and hanging plants subtly surround you. Even the expertly trained bartenders, clad in re-purposed vintage uniforms, are part of the package. Somewhere near London Bridge, in an unassuming Victorian basement on Holyrood Street, Sweet&Chilli’s Nine Lives Bar has opened its ceiling high balustrade and uncompromising ethos, to you. You enter the room, surrounded by a plush purple dream that spreads across the wall, almost like an illusion. Warmth and comfort instantly embrace your mind, heart and soul as you melt into the comfortable seating before your imbibe experience begins. 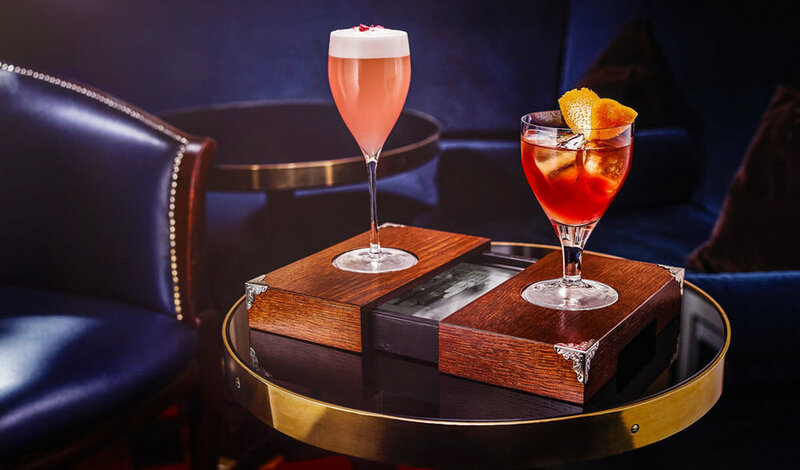 This isn't just any cocktail menu, it's a carefully crafted bespoke experience that will make your eyes gaze in wonder as things happen that you have never quite experienced before. 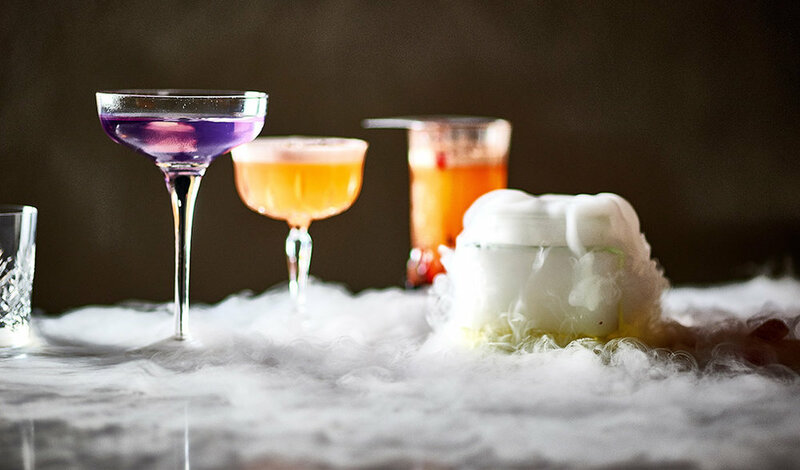 The boundaries of mixology are pushed to a new level as edible cocktails, perfumes, vapors and dust become the new norm. It's like Alice in Wonderland meets Charlie and the Chocolate Factory all wrapped up in one. The experience itself includes everything from flavour and colour enhancing cocktails that change as you drink them, to scented alcoholic lollipops, jellies and even booze themed dib-dabs for those who seek even more adventure. If that wasn't enough for you there's even a festive-infused vapour that will instantly transport your mind, body and soul to a Winter pine forest as you close your eyes and inhale. 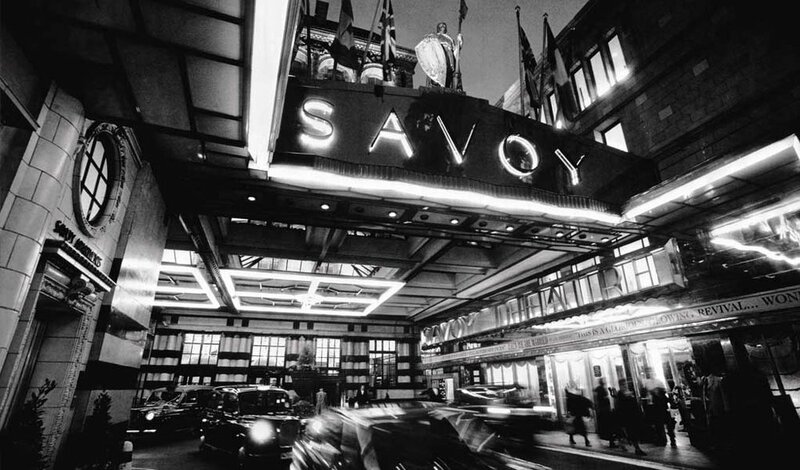 The pop-up itself is situated in the famous Sanderson hotel, long known for its bespoke and eloquent service. 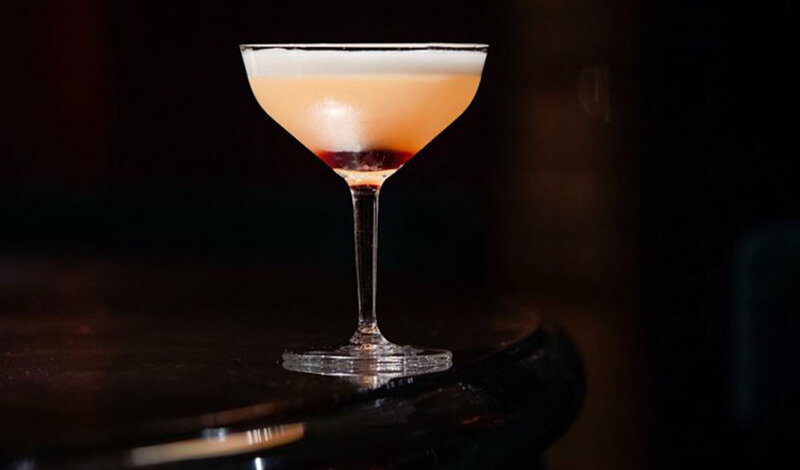 This partnership offers something never previously experienced within the London cocktail scene and allows those who like a little more 'play' in their lives to have some fun, let loose and enjoy some seriously good cocktails. 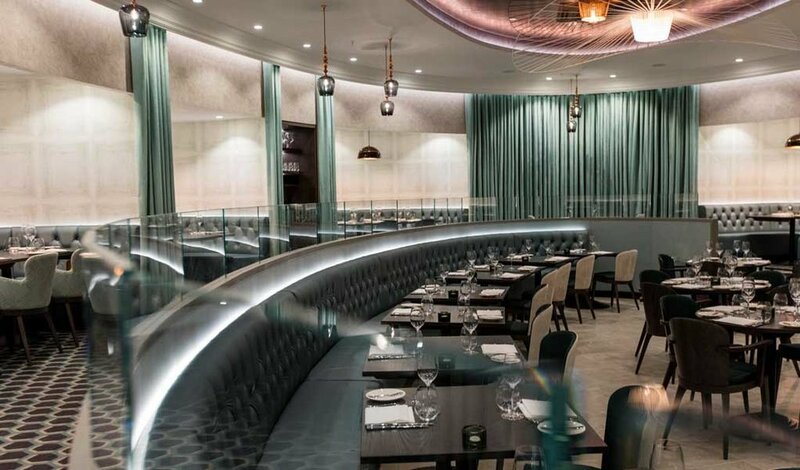 Our favorite thing about M Victoria Street , Martin Williams’ latest fine dining and nightlife venture an eight minute walk from London’s Victoria Station, is the sheer number of options the venue offers to wine, dine, taste, socialize, and just generally eat, drink, and be merry. 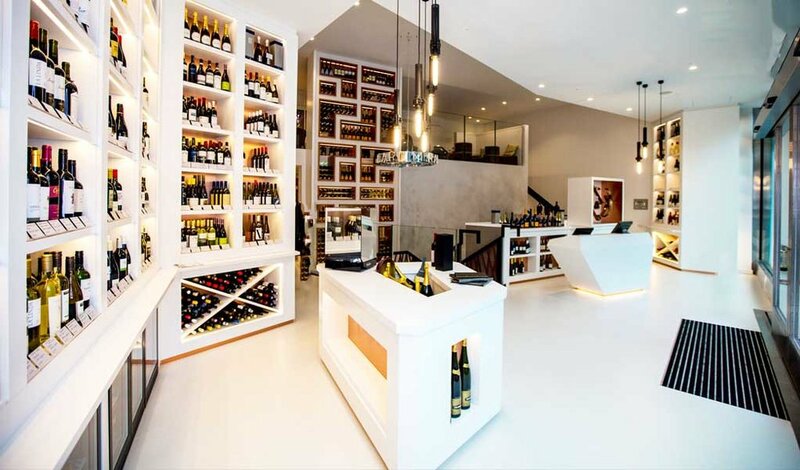 From the high end wine shop through which one enters the restaurant (offering tasting portions from automated dispensers and a “Bottomless Bellini Brunch” on its veranda) to the two sides of the dining room (sumptuous world class steaks at M Grill and ultra-healthy fresh sashimi at Raw Bar) M Victoria has a seat, a glass, and a plate to please even the most discerning of London diners. 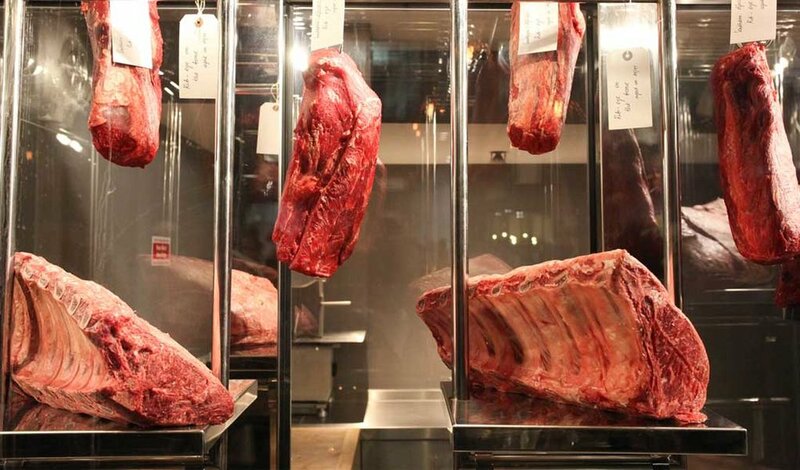 M Grill offers steaks from six countries, from Kansas USDA Prime filet mignon or T-bone to Australian Grade 9++ Blackmore Wagyu and mouthwatering sauces to accompany the high quality cuts—from a rich burnt butter emulsion to a fresh, vibrant chimichurri. Want to top your steak with a half lobster or fresh truffles? Sure, M Grill can do that for you. 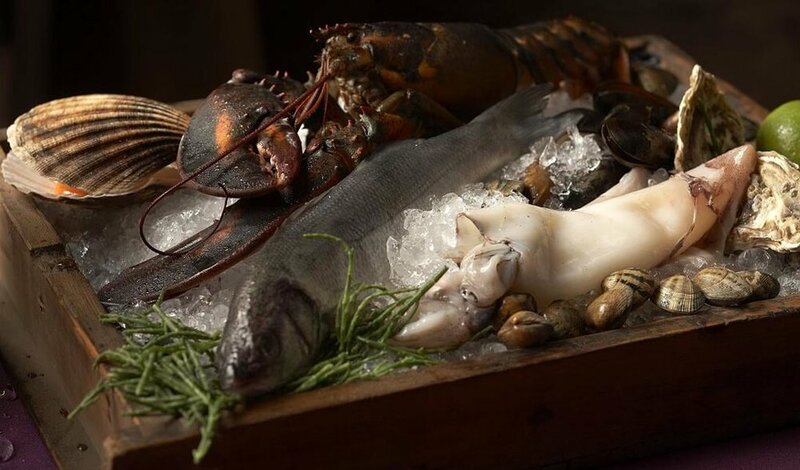 M Raw Bar serves up favorites like Yellow Fin tuna sushi and soft shell crab sashimi as well as more unusual offerings like kangaroo tartare—probably inspired by Executive Chef Michael Reid’s recent return to the UK from Australia. 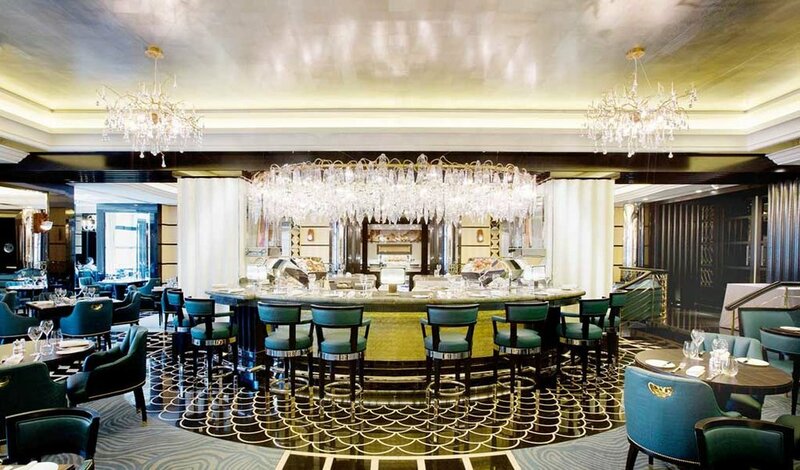 Whether it’s for a romantic Friday night out with a loved one, cocktails in the chic basement bar with friends on a Saturday night, or a Sunday brunch with Grandma watching her get tipsy on Bellinis, M Victoria has your weekend covered. Just show up. Craving an icy tropical cocktail with your toes sinking into the sand, but with no immediate plans to jet off to Santorini or Mallorca? 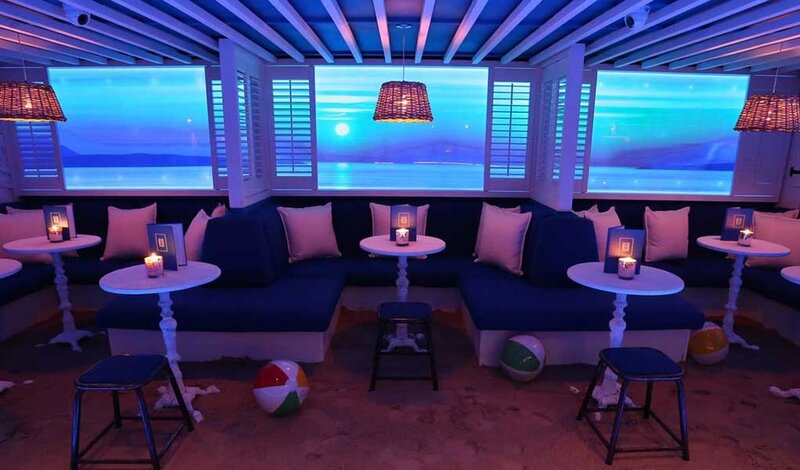 Look no further than Archer Street in Soho for a beach-conjuring escape in central London at Myki Sand Bar, a glamorous pop-up bar that carves a little slice of beach paradise into the unlikely vessel of an urban basement bar. Furnished and decorated in gleaming whites and blues that call to mind magical Greek islands on the aquamarine Aegean with photos of iconic stretches of sand, palm trees, and of course, an actual sand floor (plan ahead with footwear, stilettoes not encouraged) Myki Sand Bar brings the beach holiday to you, even if only for a few relaxing hours. 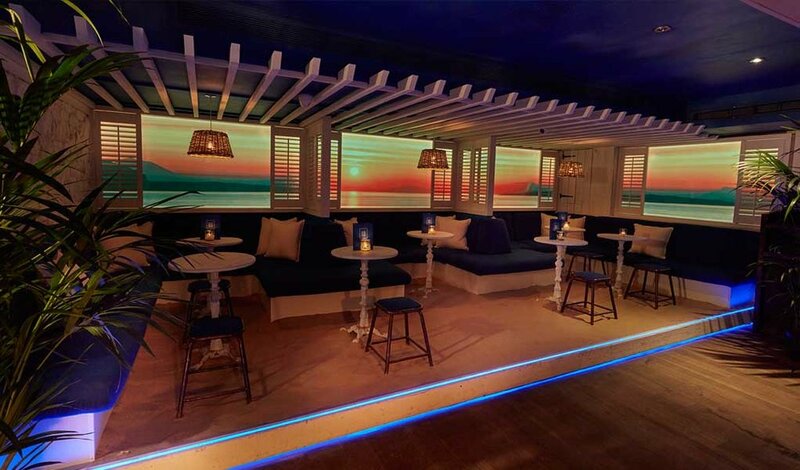 Opened in late May and carrying on with the beach party vibe until late October, Myki offers a creative menu of original and classic tropical cocktails featuring Cîroc vodkas and other top quality craft spirits. Try the designed-to-be-shared “Pure Shores”, an oversized cocktail portioned for four featuring Cîroc, pistachio, lime juice, salted watermelon, mint leaves and soda water and be transported instantly from a dreary work week trapped in an office to the bliss of golden sand, lapping waves, and a blissed out atmosphere. Okay, Myki won’t quite substitute for a couple of weeks in Santorini, but it’s a lovely escape—no passport required. 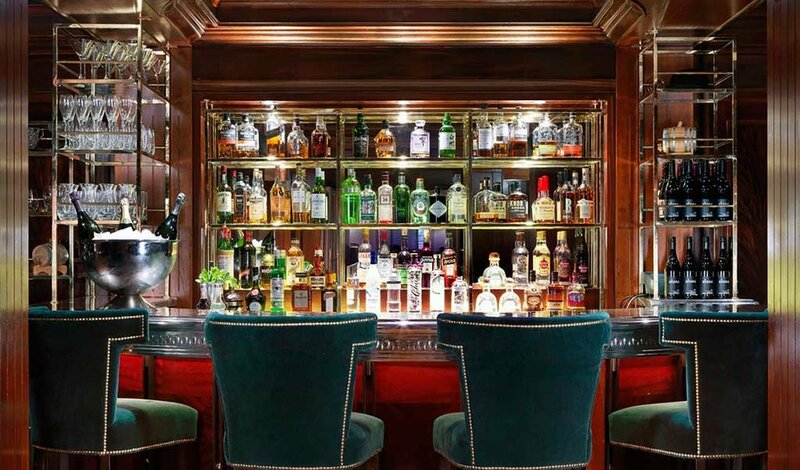 The City of London: filled with a vast array of bars and eateries to satisfy any person’s palette. With thousands of restaurants to choose from, most make their choice based on recommendation; choose a restaurant they know well or the closest one to their destination. But what about those hidden gems? The undiscovered? The ones that aren’t necessarily easy to find unless you stumble upon them or are told of their existence. That was exactly my experience of Cinnamon Kitchen. 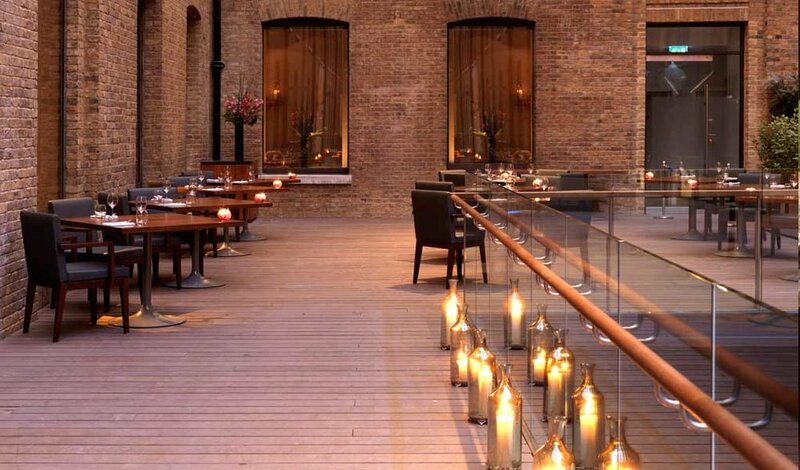 Just a short walk from the hustle and bustle of Liverpool Station, the restaurant is located in the heart of Devonshire Square, Formerly warehouses for the East India Company, the new developments add a more modern feel. The restaurant isn’t an easy to find but this adds something special to this place. Neighbouring a number of bars with a roof overhead the area is the perfect place to eat and relax after a busy day at work, socialising with friends or a formal gathering. Somehow the space has an intimate feel which almost makes you feel like you’re not in London at all! When you arrive at the restaurant, a chique, stylish and understated place where you immediately feel relaxed and comfortable, The staff members offer to take your coat and see you to your table beginning your visit on a beautiful note. The comfortable outdoor seating along with the Indian inspired decor and fire tikis collectively simulate the cosines of your own home. The cocktails were aplenty in choice, each with it’s own personality and a mixture of traditional indian fruits and flavoring to cater to your taste buds. For those of you who prefer to have alcohol free cocktails, they offer a mocktail selection or to adapt their classics. A truly refreshing experience. With the talents of CEO and executive chef Vivek Singh’s, the flavors of the modern Indian cuisine shine through. As soon as you’re presented with the menu, you’re greeted with a variety of classic options with their own ‘Cinnamon Club inspired’ twist. Their unique approach to such classic dishes continue to push the culinary boundaries beyond what we think to be possible. We were first offered a basket of fresh bread (garlic and plain naan and a sweet naan) complemented by a selection of dips. These weren’t your typical flavors that you would receive at any restaurant and the attention to detail was clear. Each dip and bread worked together so that each bite was a delicious experience. The Lucknowi Chicken Biriyani I chose was presented in a cosy metal bowl, the fusion of flavors in each dish being a delight to experience. The chicken was succulent and cooked to perfection and just the right portions to really have a perfect meal. Saving just enough room for dessert, the ice cream trio was a perfect way to close this dinner. As we drank tea to unwind and reflect on our evening, all I can say is that this whole experience was a very special one. From the staff, to the hidden location, the food and the ambience, this is definitely one place I will be visiting again. And I think that next time you’re in the area, you should too. A special thanks to all of the polite, attentive and helpful staff who made this visit such an enjoyable experience.